Once, many moons ago, I was a jazz alto saxophone player. I played for six years until graduating from high school and moving on to college. Some of my fondest memories from high school involved jamming on stage with the rest of the jazz band. Sadly, at that point I no longer had time for it, nor many opportunities to play. But even though I no longer play my sax, I gained an appreciation for many of the jazz greats that keeps me on the lookout for great jazz music both past and present. Charlie Parker and John Coltrane are on my list of course, but so were more modern musicians such as Branford Marsalis, David Sanborn, Jay Beckenstein (Spyro Gyra), and Dave Koz. Each of these brings something different to the field. He’s definitely done that with his first album on the label – Hello Tomorrow. Koz managed to pull together some truly amazing folks to help him out. Herb Alpert, legendary musician, plays trumpet on the record and most of the songs were recorded at the former A&M Studios – now Henson Recording Studios – where Alpert recorded many of his own classic albums. Add to that Boney James (awesome sax player – “Here She Comes” on Pure) who plays on “When Will I Know For Sure”, and Keb’Mo (blues singer/guitar) who plays on “Think Big” and “There’s a Better Way.” But the hit parade doesn’t stop there… Others include Jonathan Butler (R&B/jazz singer/guitar), Brian Culbertson (jazz/funk keyboards and trombone who also co-wrote some of the songs on the album), Sheila E. (drummer/singer), Dana Glover (pop singer), Jeff Lorber (keyboards/composer), Ray Parker, Jr. (R&B/jazz/funk singer/guitar, Ghostbusters theme song), Lee Ritenour (jazz/blues guitar) and Christian Scott (jazz trumpet). Koz is amazing on his own – but to be working with all of these other talented musicians just raises his work to another level. 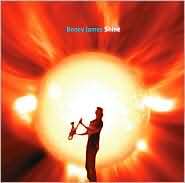 Back in 2003 on Koz’s Saxophonic release, he opened the album with “Honey-dipped” which has to be one of my favorite jazz songs of the last 10 years. He repeats the feat on Hello Tomorrow with “Put the Top Down” where his jazz licks are joined by Ritenour, Parker Jr., and Butler on guitar; Marcus Miller on bass; and Sheila E. on percussion. This song just rocks along with a funky bass and drum groove behind the scenes as it builds and builds the conversation between guitars and horns until it fades away. And Koz’s song “When Will I Know For Sure” which pairs his tenor sax with Boney James’ soprano was another of my favorites. There’s something about the way this song grooves along to a beat, but plays with melodies back and forth in a way that it seems like it could have gone on forever. I don’t know what it is that adds that feel of mystery, but it’s fun to listen to these two masters go back and forth with various themes as it continues on. 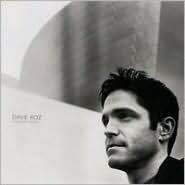 If you are a fan of modern jazz, Dave Koz’s Hello Tomorrow brings together so many great talents from blues, jazz, R&B, rock, and pop that you should find it easy to find something to like among the thirteen tracks. If this is a sign of what’s to come for Koz, I’m excited to see what the next album will bring. <em>Hello Tomorrow</em> is set for an October 12, 2010 release. Check out Koz’s website – DaveKoz.com – to listen to a few tracks from Hello Tomorrow and information about upcoming tour dates and more! p.s. Pick up these great albums below!